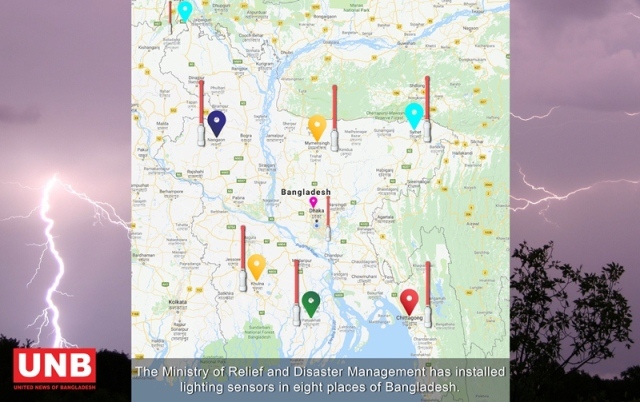 Dhaka, May 13, 2018 (UNB) – Eight sensors capable of pinpointing lightning-prone areas and providing early warnings on incidence of lightning have been installed in the country. Ministry of Disaster Management and Relief has set up the US-made sensors recently, which will allow people to know when the incidents might occur in specific area and will reduce the loss of lives, meteorologists said. “Lightning forecast can be provided with 10 to 30 minutes lead time,” a meteorologist told UNB. At least 149 people died in lightning strikes in different parts of the country from March till May 11, 2018, according to the data received from the Ministry of Disaster Management and Relief. The places where the sensors have been set up are: Dhaka, Chittagong, Tentulia in Panchagarh, Badalgachi in Naogaon, Mymensingh, Sylhet, Khulna’s Kayra and Patuakhali. Currently, the system is running experimentally and at the end of the year the technology will be inaugurated officially, said the Met official. 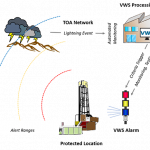 These sensors will help locate thunder clouds gathering on the horizon at least 10–15 minutes before flashes of lightning strike the ground and save lives by giving early warning. The images of the entire country will come from these sensors and the range of each sensor is 250 kilometers. In a season (April to June), number of lightning incidents and thunderbolts will be stored in each sensors. At present forecast of thunderstorm is announced through radio, television and news media based on date obtained from radar and satellite which does not appear clearly. Besides, the details of the thunderstorm are now given on district basis. Using the new sensors, the name of the specific area can be forecasted. Based on the data, ‘Lightning Arrestors’ would be installed in the lightning-prone area, said the Met office sources. 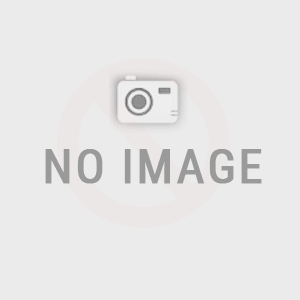 A lightning arrestor is a device used on electric power systems and telecommunication systems to protect the insulation and conductors of the system from the damaging effects of lightning. Officials concerned acknowledged that there was less attention to thunderstorm in the past. Understanding the devastation of thunderstorm, special attention has been given to it now. But, more awareness among general people is required to keep them safe from the incident, experts said. According to the information provided by the Met office, lightning sensors machines were purchased from the US under the project ‘Strengthening Weather Observatory at 13 Ports in Bangladesh’. The total cost of the project is Tk 62 crore and the cost of the eight sensors and other relating devices are around Tk 20 crore.